I know of at least 5 places within a 5 mile radius of us that offer lash extension services, yet so many of our clients are unfamiliar with this service. There are different kinds of extensions and it can be confusing. I am not a lash artist but I can share with you my personal experience with extensions and hopefully guide you in the right direction if you choose to have them done and tell you the difference between what we do at Citrus and what our friend’s offer at their salons. I tell our clients that extensions are like getting acrylic nails since many people are familiar with this. Let’s say you have weak nails that split easily or you want to have great looking nails for a couple of weeks at a time. Acrylics attach to your natural nail and enhance them and you can make them longer and stronger. BUT, as your nail grows you need to have them filled in every 2 to 3 weeks. Lash extensions are a synthetic lash that is bonded to each of your natural lashes to add volume and length. You do not have to wear mascara and you are maintenance free for a couple of weeks at a time. BUT, as your natural lash falls out the extension goes along with it and you need to have them filled in every 2 to 3 weeks. Last year I decided to have my own done. I knew the basics as I described above but did not really understand different types of lashes. When I went to the salon I said I wanted long, full, thick lashes. I mean, who doesn’t ? I have oily skin and even the best waterproof mascara smudges on me and as I get older my lashes are thinner and shorter so I was really excited. What I did not know is that I was getting VOLUME lashes . I was really taken a back when I looked in the mirror. I asked for them and I got them but I was not happy. I felt ridiculous. I felt like I was too old to pull off this look and it just wasn’t me. I DO NOT BLAME THE SALON, to be clear. I asked for long, thick and full lashes and that is what I got. I paid a lot for them and I started to get use to them but as my natural lashes fell out it was very obvious that I needed a fill even less than 10 days after they were applied. I had to go for fills every 10 to 14 days to keep them looking nice and it was too costly. I went to another salon that does a different lash extension service to help get a more natural look. The lash artist told me that I had 5 -6 lashes bonded to each of my lashes from the other salon and that her practice there is to do a 1:1 ratio. That is what I went with for the past year. It does not have that wow factor that the other lashes did but they looked great, long and thick but not over the top. I never needed mascara and I could go 3 weeks before I needed a fill. 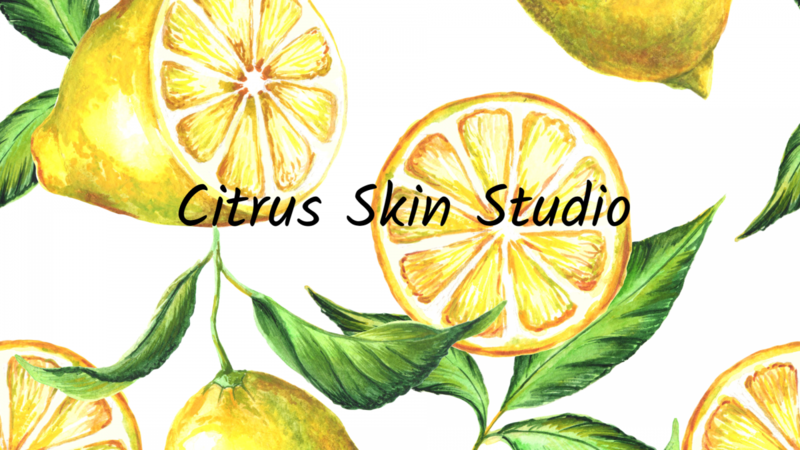 For those reasons that is why I chose Nova Lash to bring into Citrus Skin Studio. Our clients are getting these lashes for a variety of reasons – they have thinning lashes, light colored lashes or want to ditch the mascara. I still like the look of the volume lashes but personally it is not for me and for most of the clients we serve. If that is the look you want we would be more than happy to send you to a lash artist we know and trust in the area. When deciding to get lashes you need to consider : volume, length and maintenance. Ask your lash artist how long they have been doing the service. I went for a fill at my regular salon but saw a different person. I did not feel I had as many lashes in the inside of my eyes as I usually do. When I went back to see my regular girl she explained that the girl who did them last was new and had not yet developed her skills to do the inside corners of my eyes. I was not happy as I was still charged the same ! Ask if you will get a full set ! I can not tell you the all the differences between lash brands. We chose Nova lash because of their history as a solid company, reputation , training and support. Other salons use their own criteria in selecting their brand but in the end it is what lashes do we want to offer to the clients we serve. Interested!! How much for a full set? Right now a full set is $100. This price reflects the fact that Lauren is newly certified and while she is getting a full set on, her time to do the procedure is 2 – 2.5 hours. As she adds speed to her service the prices will go up to the usual rate in our area – $175 – 200. Your set includes one fill 2-3 weeks later so it is a very good deal! Previous Previous post: We Keep Adding More Talented Staff. Meet Ashley ! Next Next post: When All Else Fails, Take A Bath ! Skin Geeks @ Citrus Skin Studio Blog at WordPress.com.